The best free WordPress table plugins can make your HTML tables awesome and responsive in almost all devices. It doesn’t matter how many columns of data you have in them as they will still remain responsive and functional if you have these plug-ins. 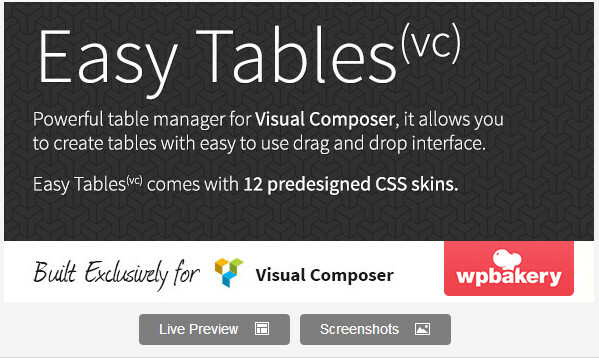 This WordPress table plug in allows to you to insert tables with ease. There is no need to write complicated HTML syntax. Also, easy table is not a graphical user interface table generator. This means that you can directly type table data on your page or post while writing your content. This eliminates the need for switching to another window or to clicking another toolbar. By using the standard CSV format to generate table data, this plug in can be the easiest manner to build tables. This is a simple plug in that you can use to easily configure or include FooTable jQuery script in your WordPress site. This table plug in uses specific table data attributes to define the columns that will be visible at different breakpoints.  Thus is a fantastic plug in perfect for users who are not comfortable using HTML. Creating a table is pretty easy. You just need to enter the exact number of columns and rows you want. The data can be defined easily as the order of data can be changed in the display. You can even insert images and links directly into the table cells. Additionally, this plug in allows you to switch rows and columns. All you have to do is to choose the exact number of columns and rows you want to switch around. This plug in has rich features and perfect for those users who have experience in administrating MySQL databases. This plug in allows the CSS to be edited directly in the admin area. Also, the data can be imported from the tables through the CSV files. This is another plug in perfect for users not used to HTML editing. This plug in allows you to add columns and set the cell to include an image, link, or text at the same time. WP compare tables come with a blue color design for your tables, but you can style your tables according to your preference. 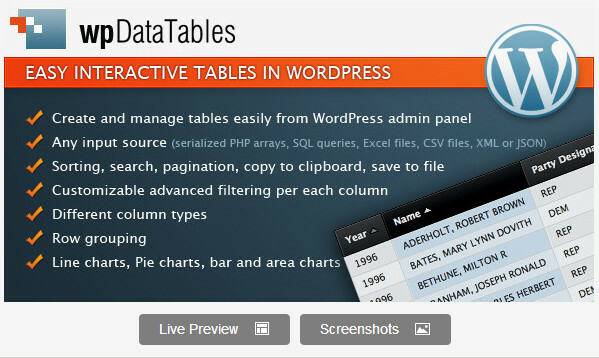 These best free WordPress table plugins are a must have. They not just enhance the appearance of your tables, but also improve the usability of your WordPress site.